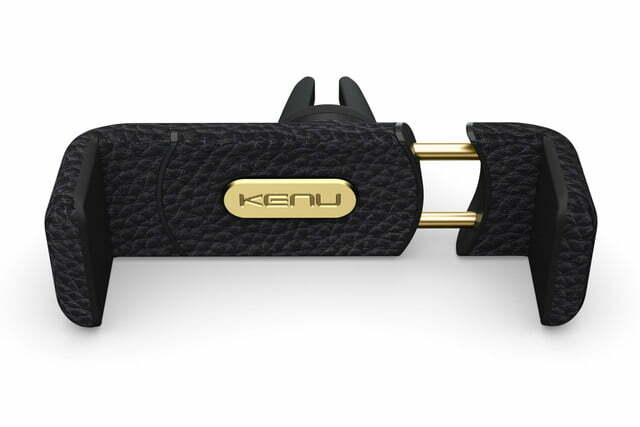 You just spent hundreds of dollars for that smartphone, so why are you cheapening out on the accessories? 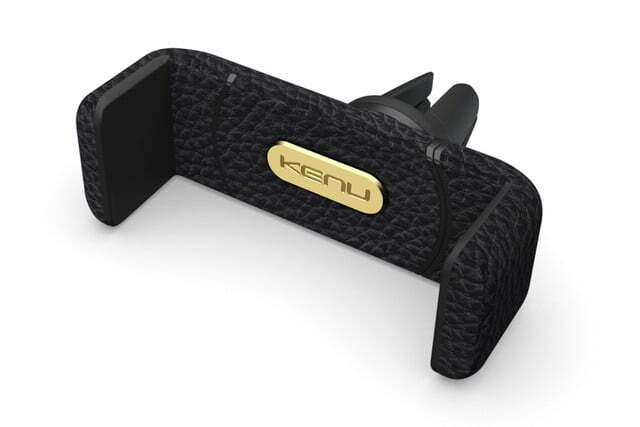 Kenu thought the same thing, and came out with the Leather Edition of its Airframe+ phone holder. 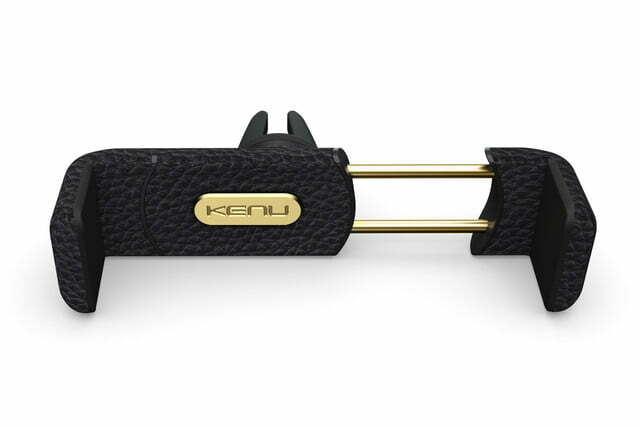 With genuine leather and gold chrome, it’s a worthy car cradle for your equally blingy iPhone. The Airframe+ is one of better phone cradles we’ve used while driving. 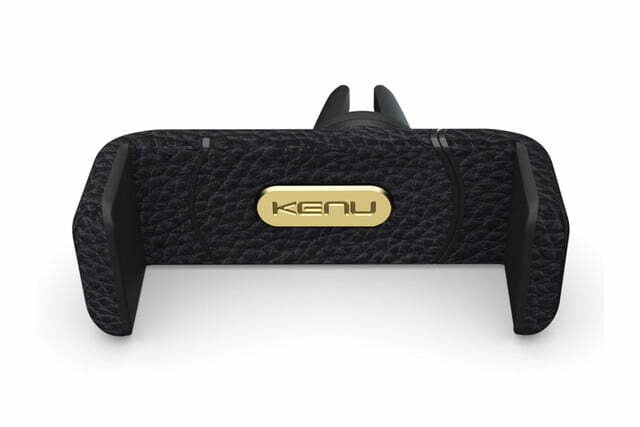 The simple design features a spring-loaded jaw that fits large smartphones (extends up to 3.4 inches), but the sturdy grip keeps a phone in place and the soft material prevents scratching a device. 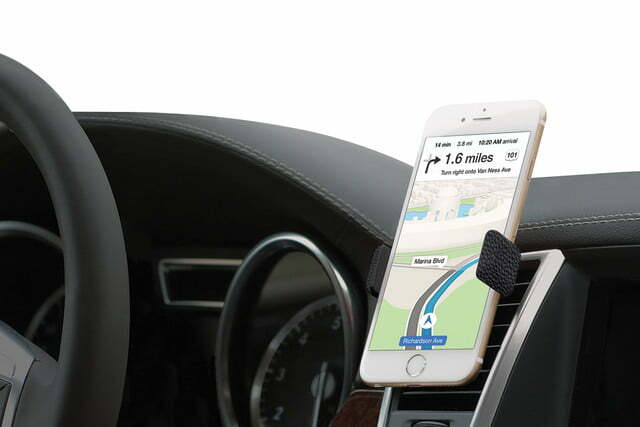 A clip on the back attaches to any car vent, and easily rotates to turn your phone from portrait to landscape. While the phone will block one of your car’s vents, we find that it’s an ideal mounting location versus cradles that attach to a windshield. It’s also useful if you often use rental cars or car sharing services, since you can stash it in your pocket after you’re done driving. Various testers have reported positive experiences back to us, simply because it’s easy to mount and use. The new Airframe+ Leather Edition costs $40; non-leather versions cost $30.